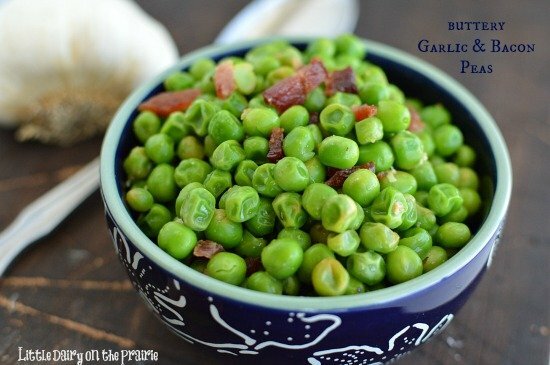 Buttery Garlic and Bacon Peas will change the way you think about peas! 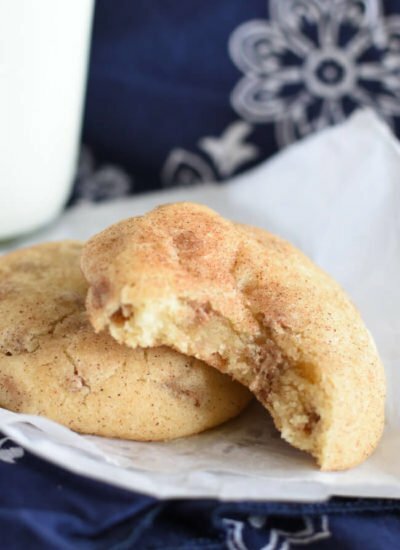 They are simple to make and explode with flavor! 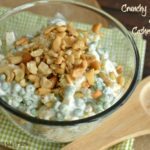 These are a favorite side dish on the farm! This post is going to be a short one. All my boys are out helping the neighbor take some straw bales off the roof of his potato cellar. It’s a huge building where potatoes are stored during the winter until they can be sold in the spring. Before my boys get home I need to correct three math assignments, make lunches for tomorrow, finish dinner and payroll, change the laundry and set the table. That means I don’t have a whole lot of extra time to think of descriptive sentences to sell you on these amazing peas. So…these are the important words you need to know about these peas. BACON…BUTTER…GARLIC…PARMESAN CHEESE…and I guess peas! You should be sold! You know I live a million miles from the grocery store? Okay, it’s not really a million miles but it is about 50 miles. It seems like I’m in town all the time, but find myself running out of time to do my shopping. Fresh veggies are a bit of a luxury. I think that’s why I buy frozen veggies by the dozens! Seriously, I bet I have 12 bags of frozen veggies in my freezer right now. This side dish is one that nobody complains about. Usually when the kids see anything green that resembles healthy food, the complaining begins. 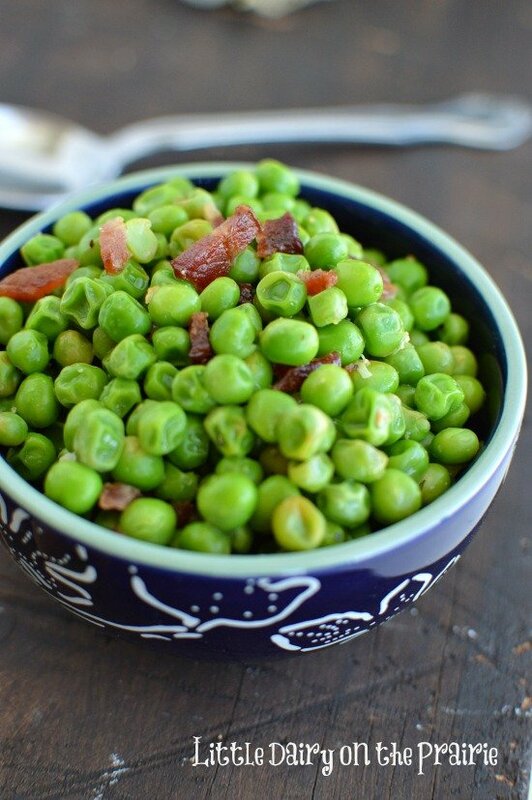 These peas pop with flavor thanks to bacon, butter and garlic, and of course cheese! I love peas anyway, but these peas are over the top! 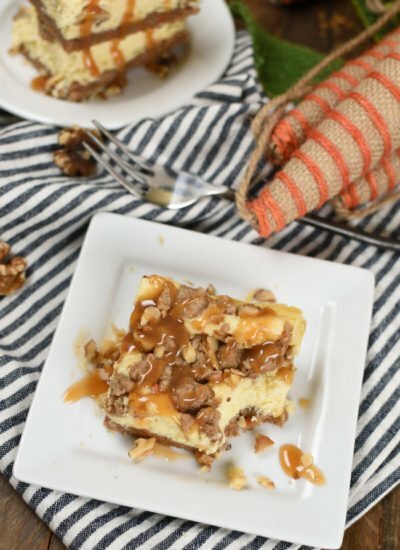 I love serving them next to grilled chicken, meatballs or any kind of pasta! I can’t wait for you to try these peas! You are going to love them. By the way, they couldn’t be easier to make either! 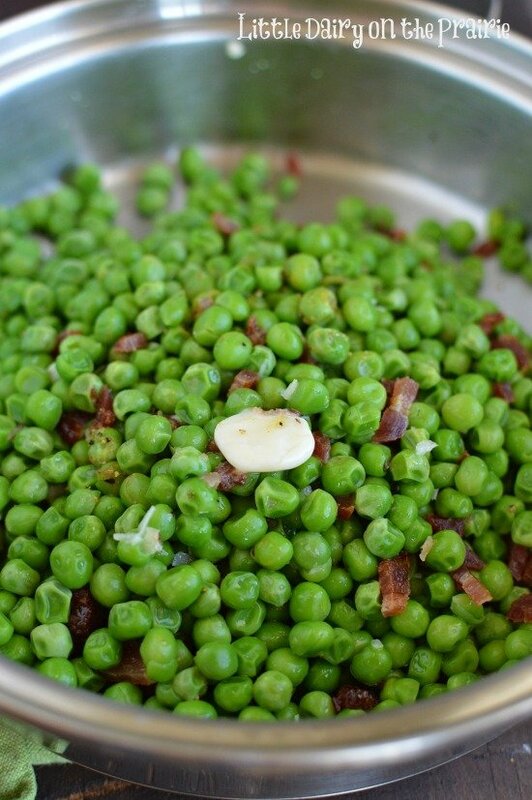 Put green peas in a skillet and cover with water. Bring to a boil. Reduce heat and simmer for about 5 minutes or until peas are tender. Drain and return peas to skillet. Add bacon, butter, garlic, salt and pepper. Continue to cook over medium heat for about 5 minutes. Every dinner looks better with something green on the plate. These peas should do the trick. 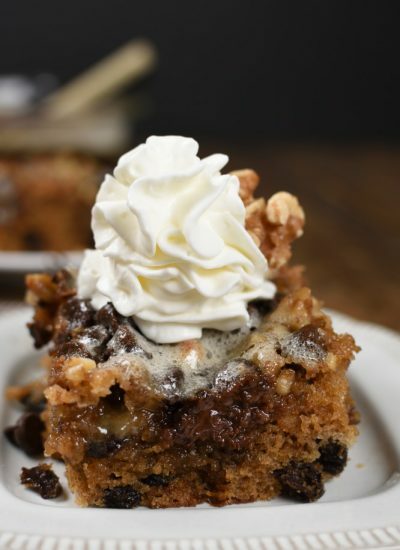 This is a very good looking recipe! Love your “selling points” . Your website looks super cute too . Thanks for your kind words Lori! If there was every a way to get kids to eat veggies it has to be bacon right? I’m making chicken and rice tonight. This will go great with it! Thanks!! My mom always made sure we had something green on our plates because it looks pretty. These peas will look pretty and taste amazing too! 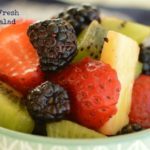 I just found your recipe (& site) and am very excited to make it! 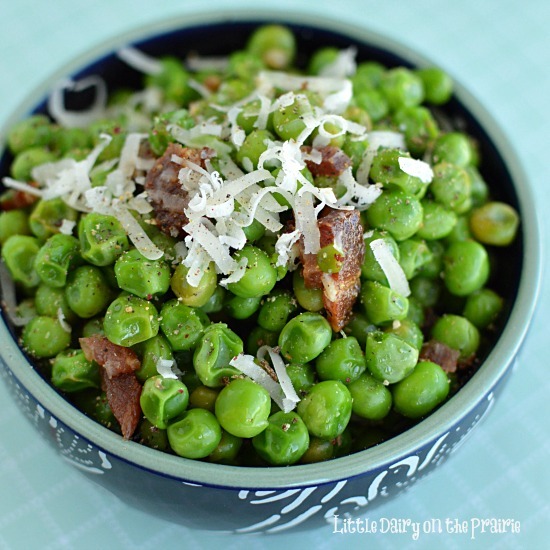 I too love peas and to add bacon, garlic & parmesan – swoon!! TFS!! I glad you found me! 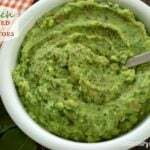 These green peas make a pretty addition to about any meal! I don’t know what a cup of bacon might be? Raw bacon, or cooked? Maybe cook a cup of raw bacon until crispy? Thanks. Hi Judy! I use a cup of cooked and crumbled bacon although the measurement doesn’t have to be exact. 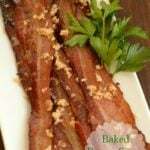 In fact, when I make bacon I always make extra to use in recipes just like this. I just throw in whatever I have! Just remember with bacon…more is better! Can this be made the day brefore and re/heated? Or should it be served the same day? 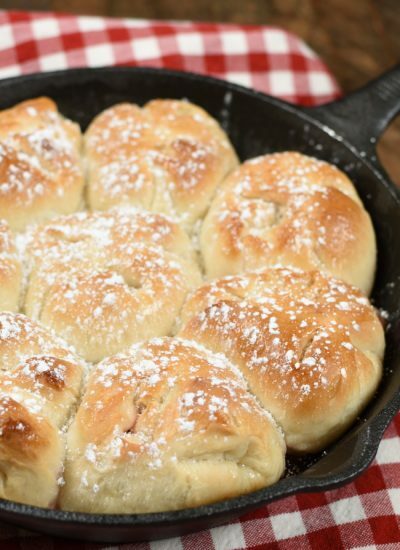 You could make them them ahead of time and reheat them just before serving. Sometimes after peas have been cooked they get a little wrinkly looking but still taste fantastic!